Thus, we can finally rephrase the question about the modern world’s inequalities as follows: why did human development proceed at such different rates on different continents? Those disparate rates constitute history’s broadest pattern and my book’s subject. While this book is thus ultimately about history and prehistory, its subject is not of just academic interest but also of overwhelming practical and political importance. The history of interactions among disparate peoples is what shaped the modern world through conquest, epidemics, and genocide. Those collisions created reverberations that have still not died down after many centuries, and that are actively continuing in some of the world’s most troubled areas today…It seems logical to suppose that history’s pattern reflects innate differences among people themselves. Of course, we’re taught that it’s not polite to say so in public. We read of technical studies claiming to demonstrate inborn differences, and we also read rebuttals claiming that those studies suffer from technical flaws. We see in our daily lives that some of the conquered peoples continue to form an underclass, centuries after the conquests or slave imports took place. We’re told that this too is to be attributed not to any biological shortcomings but to social disadvantages and limited opportunities…I harbor no illusions that these chapters have succeeded in explaining the histories of all the continents for the past 13,000 years. Obviously, that would be impossible to accomplish in a single book even if we did understand all the answers, which we don’t. At best, this book identifies several constellations of environmental factors that I believe provide a large part of the answer to Yali’s question. Recognition of those factors emphasizes the unexplained residue, whose understanding will be a task for the future. In short, plant and animal domestication meant much more food and hence much denser human populations. The resulting food surpluses, and (in some areas) the animal-based means of transporting those surpluses. were a prerequisite for the development of settled, politically centralized, socially stratified, economically complex, technologically innovative societies. Hence the availability of domestic plants and animals ultimately explains why empires, literacy, and steel weapons developed earliest in Eurasia and later, or not at all, on other continents. The military uses of horses and camels, and the killing power of animal-derived germs, complete the list of major links between food production and conquest that we shall be exploring. There is no doubt that Europeans developed a big advantage in weaponry, technology, and political organization over most of the non-European peoples that they conquered. But that advantage alone doesn’t fully explain how initially so few European immigrants came to supplant so much of the native population of the Americas and some other parts of the world. That might not have happened without Europe’s sinister gift to other continents—the germs evolving from Eurasians’ long intimacy with domestic animals. Knowledge brings power. Hence writing brings power to modern societies, by making it possible to transmit knowledge with far greater accuracy and in far greater quantity and detail, from more distant lands and more remote times. Of course, some peoples (notably the Incas) managed to administer empires without writing, and “civilized” peoples don’t always defeat “barbarians,” as Roman armies facing the Huns learned. But the European conquests of the Americas, Siberia, and Australia illustrate the typical recent outcome. Writing marched together with weapons, microbes, and centralized political organization as a modern agent of conquest. The commands of the monarchs and merchants who organized colonizing fleets were conveyed in writing. The fleets set their courses by maps and written sailing directions prepared by previous expeditions. Written accounts of earlier expeditions motivated later ones, by describing the wealth and fertile lands awaiting the conquerors. The accounts taught subsequent explorers what conditions to expect, and helped them prepare themselves. The resulting empires were administered with the aid of writing. While all those types of information were also transmitted by other means in preliterate societies. writing made the transmission easier, more detailed, more accurate, and more persuasive. When a widely useful invention does crop up in one society, it then tends to spread in either of two ways. One way is that other societies see or learn of the invention, are receptive to it, and adopt it. The second is that societies lacking the invention find themselves at a disadvantage vis-a-vis the inventing society, and they become overwhelmed and replaced if the disadvantage is sufficiently great. Considerations of conflict resolution, decision-making, economics, and space thus converge in requiring large societies to be centralized. 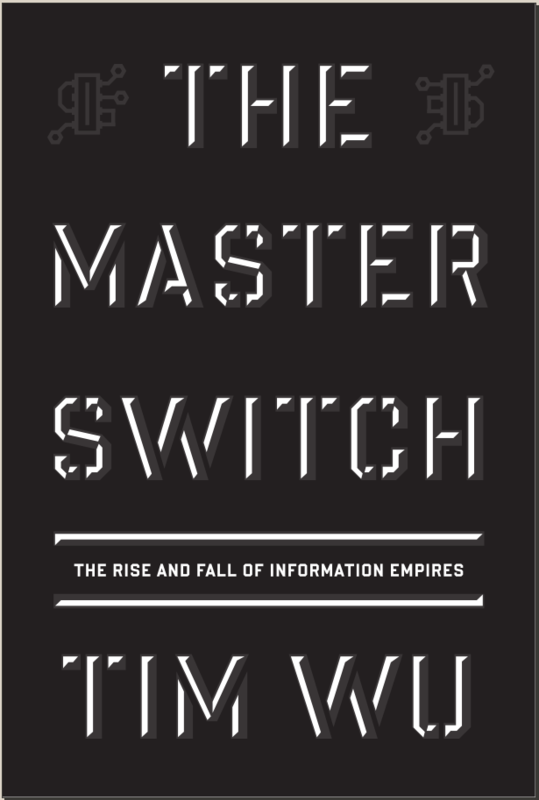 But centralization of power inevitably opens the door—for those who hold the power, are privy to information, make the decisions, and redistribute the goods—to exploit the resulting opportunities to reward themselves and their relatives. To anyone familiar with any modern grouping of people, that’s obvious. As early societies developed, those acquiring centralized power gradually established themselves as an elite, perhaps originating as one of several formerly equal-ranked village clans that became “more equal” than the others. Why were the trajectories of all key developments shifted to later dates in the Americas than in Eurasia? Four groups of reasons suggest themselves: the later start, more limited suite of wild animals and plants available for domestication, greater barriers to diffusion, and possibly smaller or more isolated areas of dense human populations in the Americas than in Eurasia. These comparisons suggest that geographic connectedness has exerted both positive and negative effects on the evolution of technology. As a result, in the very long run, technology may have developed most rapidly in regions with moderate connectedness, neither too high nor too low. Technology’s course over the last 1,000 years in China, Europe, and possibly the Indian subcontinent exemplifies those net effects of high, moderate. and low connectedness, respectively. There are many obvious reasons for these effects of history, such as that long experience of state societies and agriculture implies experienced administrators, experience with market economies, and so on. Statistically, part of that ultimate effect of history proves to be mediated by the familiar proximate causes of good institutions. But there is still a large effect of history remaining after one controls for the usual measures of good institutions. Hence there must be other mediating proximate mechanisms as well. Thus a key problem will be to understand the detailed chain of causation from a long history of state societies and agriculture to modern economic growth, in order to help developing countries advance up that chain more quickly. A must read for anyone looking to better understand the past, present and future of human civilization. This week, I have the pleasure to review Confessions Of A Successful CIO – How the Best CIOs Tackle Their Toughest Business Challenges, the latest work by my colleagues Dan Roberts and Brian P. Watson. Dan first told me about this book on an earlier call in March, and since then I was intrigued and looking forward to reading it and hearing about the stories to be shared within it. –Bet the farm. These leaders are not afraid to take on the big risks. They’re not afraid to pitch the big ideas, because they know they can speak the language and justify the investment. –Answer the call. These leaders stepped up when they were called to action—oftentimes to help save their companies’ futures. This requires a confidence in their abilities, and in their own experiences, that not every leader has. –People come first. These leaders understand the value their people bring to their organization. They don’t treat them like a number or an interchangeable part. –Decisiveness makes all the difference. Despite their human side, these leaders understand that they need to make tough decisions that affect not only their people but also their company’s health. –Results matter. These leaders don’t do pie-in-the-sky research and development or implement the latest bright, shiny objects without knowing the business case and the long-term business value. They’re more focused on enabling and improving the business and on driving the all-important metrics that do that. Passerini—adapting guidelines Lafley established for P&G executives in his “playing to win” philosophy—asks three major questions of his team before undertaking a major initiative. The first is, what right does the organization have to win?…The second is, what needs to happen for the initiative to generate that business value?…The third is the most important: What can go wrong? To Passerini, relevance needs to come with a certain degree of humility. He emphasizes to his team to not act like know-it-all, but to also have the confidence to accept more responsibility and the self-assurance to propose innovative ideas to the business. “We started with the commitment around company-wide common processes,” Rhoads said. “Rather than going out into the company as an IT function and selling it as the IT solution, we were all aligned from a business perspective first. That allowed the IT organization to partner with every function and every aspect—all of which were also going through transformation.” All of this was taking place with the very active sponsorship of CEO Swanson, she explained. 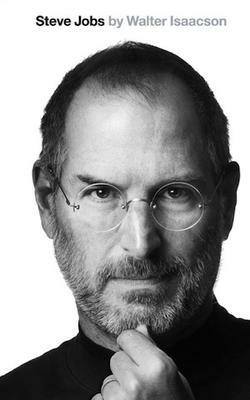 The vision was to build a business model that was not only immediately rewarding but also enduring. The vision was to take the long view. And he reasserts his intolerance for mediocrity every chance he gets. Every day he tells his team they need to be better than their competitors. If they stack themselves up against the competition—in everything from quoting cycle times to receivables to capital returns—and see that they’re lacking, as Bandrowczak says, a change opportunity presents itself. And if they can master those areas and beat the other industry players, his team gets better by default. Bandrowczak also takes issue with CIOs and business leaders griping about the difficulties in prioritizing key projects. For him, it comes back to a few simple elements: the right portfolio, the right staff, and the right resources. If you don’t have those things—or can’t figure out how to understand them or access them—you’re in trouble. After tackling the fear and uncertainty existing in the legacy team. Tennison also had to watch another potential issue: fatigue. Every veteran IT professional knows the stress and exhaustion that comes with working on multiyear, multiphase projects. You’ll see progress, but after a while, it just feels like running on a treadmill. So Tennison focused on two remedies. The first was a time-tested management tactic. He rotated people—including his direct reports— in and out of different positions, both inside the IT organization and out. “We gave them some new air to breathe,” he said. The second went to his core strategy for Net Control—and one that many CIOs play very differently. Tennison kept the team focused on the discrete deliverables they mapped for the fill project, not on one big-bang initiative. Right after the sales project went south, Shurts began taking stock of what went wrong. And that was one of the first and most important lessons he learned. Instead of focusing on what’s right in your plan, Shurts said, you have to be “relentless” in determining what’s wrong, and what might not work. Things will go wrong on any project—the key is to pay close attention to detail and understand that the plan you put on paper will likely be different than what’s really going to work in the field. Superfusion had devolved into just an IT project—not a business transformation initiative. There were chronic delays with no end in sight. Few thought it would work…In his second week as CIO, Shurts went around the room, asking the company’s senior leaders why they were still doing Superfusion. No one could give him a credible answer. In his sixth week, he pulled the plug. “The right way to do it is first, strategy, then financial analysis, and then pick your partner. If you do that, I think things will work fine,” Imholz said. “I’m not all-in one way or the other—I’m not all-in saying everything should be inside, or that you should outsource the majority of it.” Regardless, companies will continue to face challenges. And they’ll make mistakes. One of the biggest mistakes Imholz sees companies make is “to try to outsource a problem”—in other words, farming out an under-performing element of the IT operation. “That’s the wrong way to go about it,” he said. “If you can’t manage something reasonably well, then you’re not going to do terribly well outsourcing it, because management responsibility doesn’t go away.” If you’re going to outsource a problem, Imholz said, fix it first. When he talks to budding CIOs, he gets a lot of questions about innovation. His take: innovation for innovation’s sake doesn’t mean much if the operational discipline isn’t there. It’s all about executing. Leading with technology is, first and foremost, about leadership. While there is no one-size-fits-all road to success, great leaders, like the ones profiled within this book, are marked by a unique set of qualities: passion and drive to make a positive difference, the ability to engage others to chart the future and define the path, and the paradoxical ability to maintain optimism and perseverance through difficult circumstances. With courageous and disciplined leadership as the foundation, the other factor that distinguishes these leaders is a level of technology smarts that is only born from experience. Technology-smart leaders know how to identify fin the words of one of the CIOs profiled here) the “art of the possible” amid the complex assortment of desired outcomes, existing capabilities and complexities, and various resources—technical and organizational—that can be applied to the transformational journey. A recommended read for any IT leader. I recently finished reading The Leadership Challenge by James M. Kouzes and Barry Z. Posner. 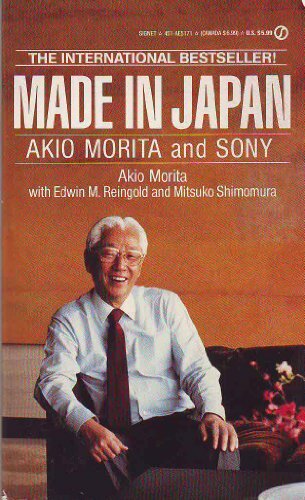 I recently finished reading Made In Japan – Akio Morita and SONY – by Akio Morito with Edwin M. Reingold and Mitsuko Shumomura. 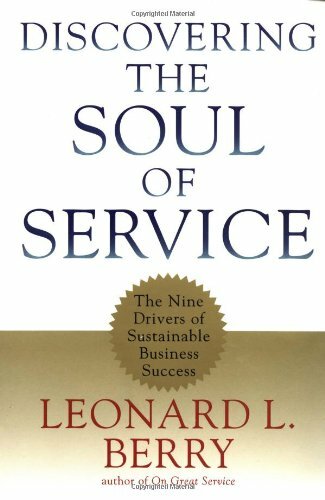 I recently finished reading Discovering The Soul Of Service – The Nine Drivers of Sustainable Business Success – by Leonard L. Berry.